The Valentine festivities continue with my home-made activities! 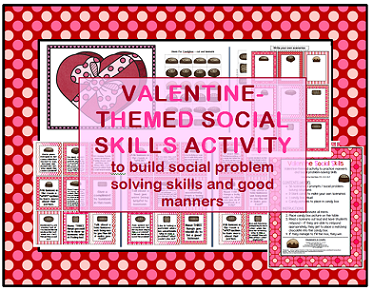 Because I have so many students working on social and conversation skills, I made a Valentine-themed activity targeting those areas (I had previously created similar activities for Thanksgiving and Christmas, and they were well-received by my students). 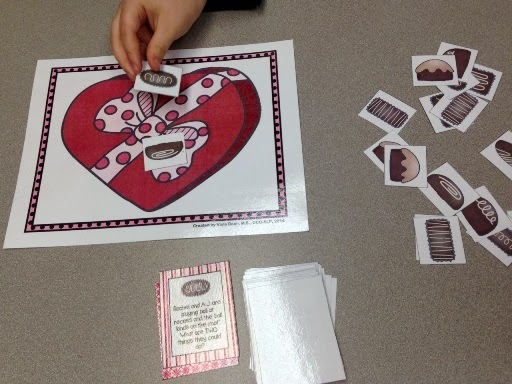 Once they answer a question, students have to find the matching candy and place it onto the picture of a heart-shaped box. I am thinking that it might be fun to get a real candy box and have them place the candy in there! Maybe I will snag one up for next year when the Valentine sales begin on 02/15 :). My student is placing a matching candy into the box. 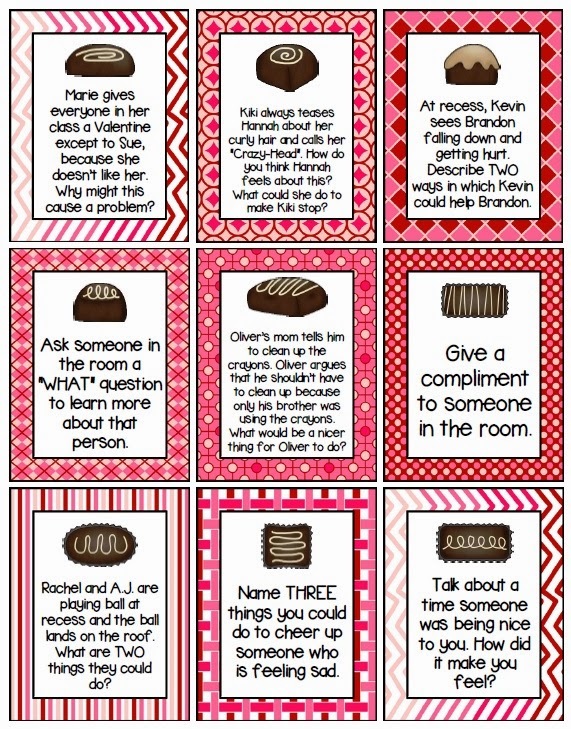 I think my students' favorite aspect of this game was to find the matching chocolates, since they looked all so similar. I suppose this was great practice for their visual skills, as well! This activity is available in my TpT store here. It comes complete with 36 prompts and 9 blank cards to add your own to the mix.